Hello, Here is my new update on this model. I embroidered on ecru Aida 7, with 1 thread. 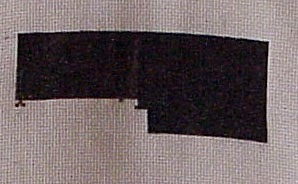 Very nice embroidery MAGRES confetti pattern. Thanks for letting me become a full time member. I am from the Canadian Prairies and only discovered HAED recently. I have another finished page! 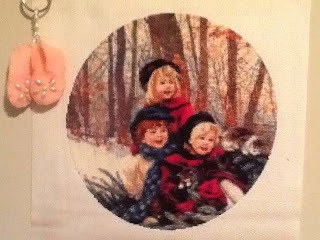 In the winter there is always more time that I can embroider. With nice weather we are more outside and exercise more. Now it is delicious with chocolate milk and a homemade cookie to be home. Gothic, from Marta Dahlig goes smoothly. Already two pages done. There was also great news, we will be back grandparents next year. Lucas gets a little brother or sister. 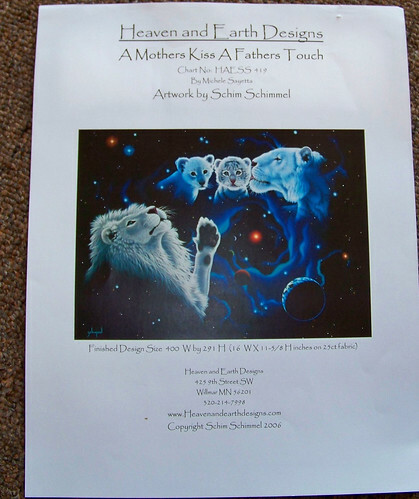 The first echoes are created and the baby is growing well. I finished another column today on Page 3. 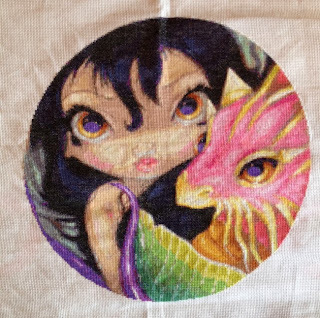 I decided to take my Q Snaps off and show you what I have accomplished since I have started stitching this. I have to do One Column at a time, One Page at a time due to the fact that the very outer edge of this goes all the way around so I have to be real careful with my columns and make sure that I get my columns in the right rows so it will be oval shape by the time I get this completely finished. I do One Column, One Page at a time. 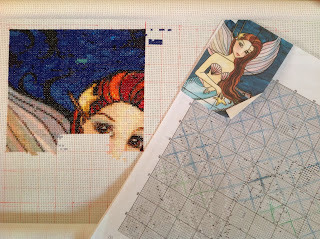 I stitch a 10 x 10 block each day. The very top of this is all Confetti Stitching so sometimes it takes me 2 days to do a 10 x 10 block due to the Confetti Stitching. I am almost done with Page 3. I have one more full column to do and than a partial column to do. Than I will start on Page 4. 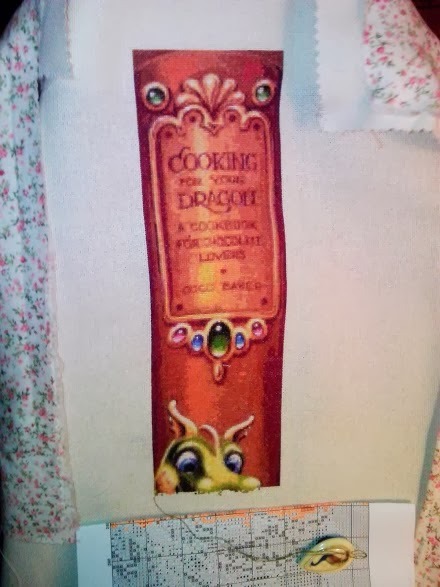 There are 36 Pages total to this pattern. It is a picture of a girl up in the sky throwing Daisy's down on Earth. It is a really neat picture. 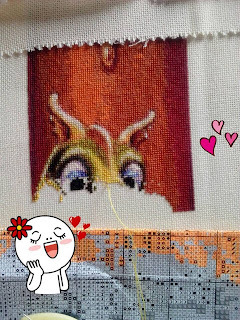 I am stitching the background right now. I've finished another page (Page 3) on Mini Halloween by Enamorte! 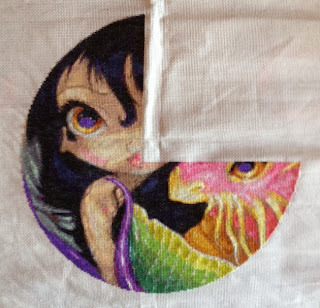 I love how she is turning out but after 3 pages straight on this design it's time to switch her out for another project so Faerie Melody is coming out to play! I have finished four very short columns on this project. The White Spot that you see at the top I still need to get thread for this place yet. 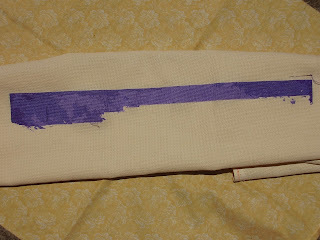 I will be going to JoAnn Fabrics and getting the rest of the threads that I need for this project. 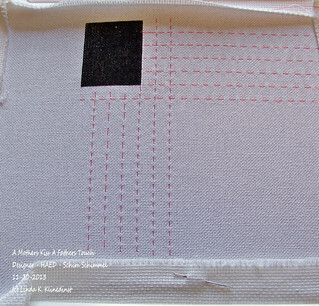 Right now I am just stitching the background of the picture which is done in all black. 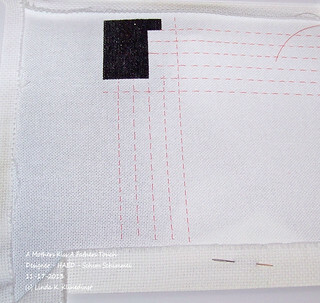 I am using DMC Thread #310 for my black. Hello, Here is the new update on my cat "little friends". I embroider at the rate of one page every two months. 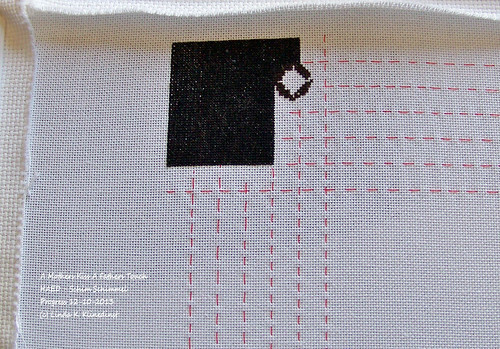 I am on my 4th short column....I am just stitching the background right now for this picture. The Background is all Black. 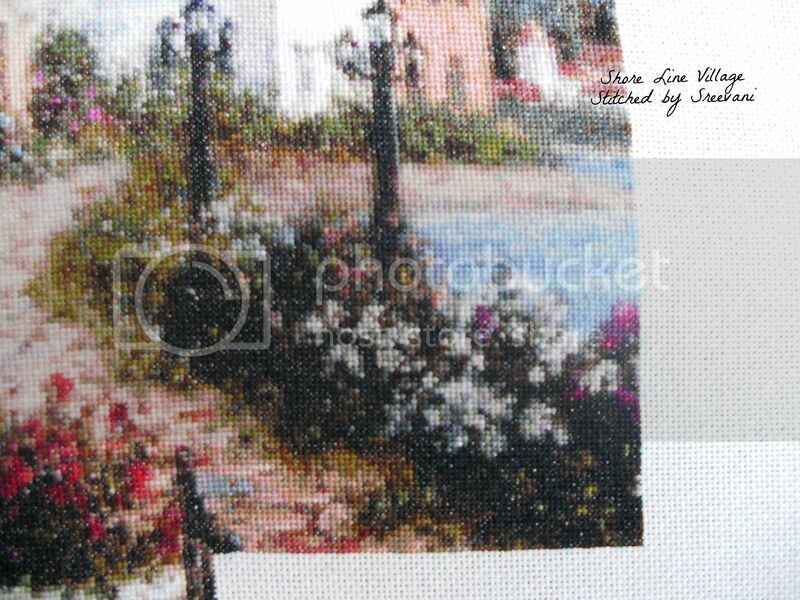 I am using DMC #310 to stitch the background with. I stitch a 10 x 10 block each day. 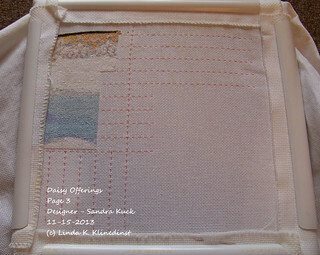 Daisy Offerings - HAED - Sandra Kuck. 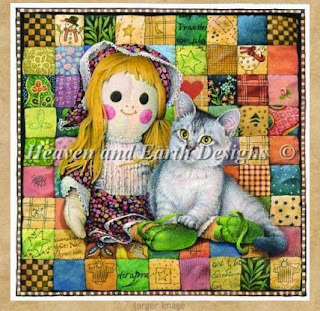 I am stitching this on 18 Count White Charles Craft Material. 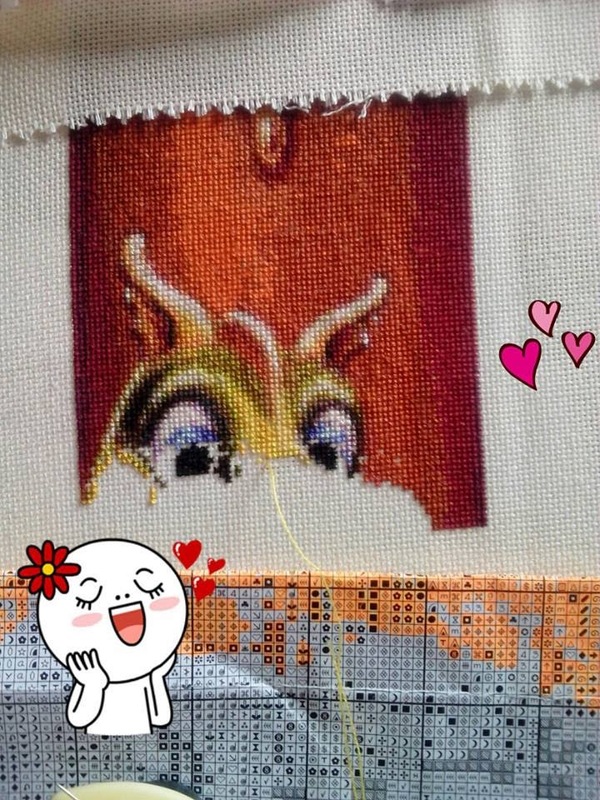 2 threads over 1 using Full Cross Stitch. I am still on Page 3 out of 36 Pages. I am almost done with Page 3. I have started another Column. 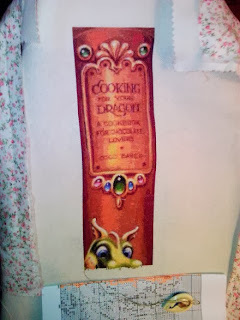 I decided to cut a Little This beautiful QS by Ching-Chou Kuik and make a Bookmark out of it. This is how my work is doing right now. Hope you like it. 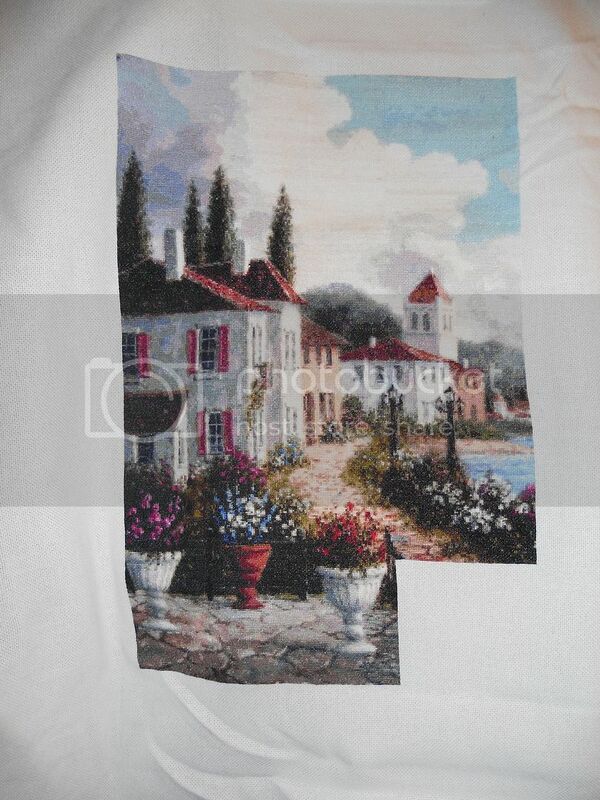 It is stitched on Lugana 22 count and I am going to make it 60 crosses wide and 230 crosses tall. Hello, Here is my progress on "water dragon" I will now take "little friends" to a new page. At this photo you can see the firts line of pages of The Last Leaves, designed by Jasmine Becket-Griffith. It's stiched on 25 count lugana, 1 over 1. I hope you like it. On the second line, we will appreciate the beautiful green eyes. Here's my Page 2 finish on Enamorte's Mini Halloween. 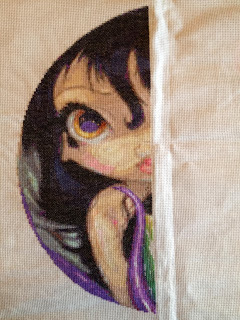 As a reminder I'm stitching her on 25 count, 1 over 1. She's stitching up a storm and I can't put her down at all, I'm aiming to finish the top row before that happens...... fingers crossed! 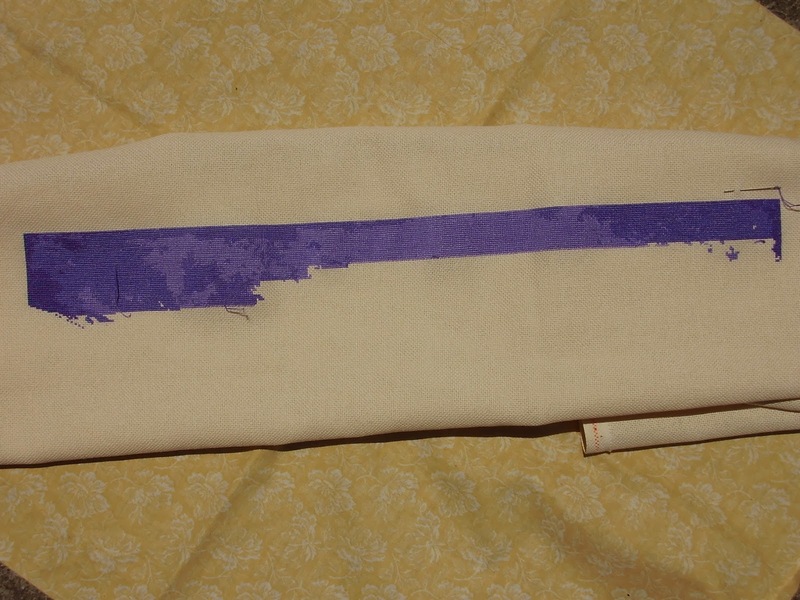 Fabric: Lugana 25 , floss DMC. 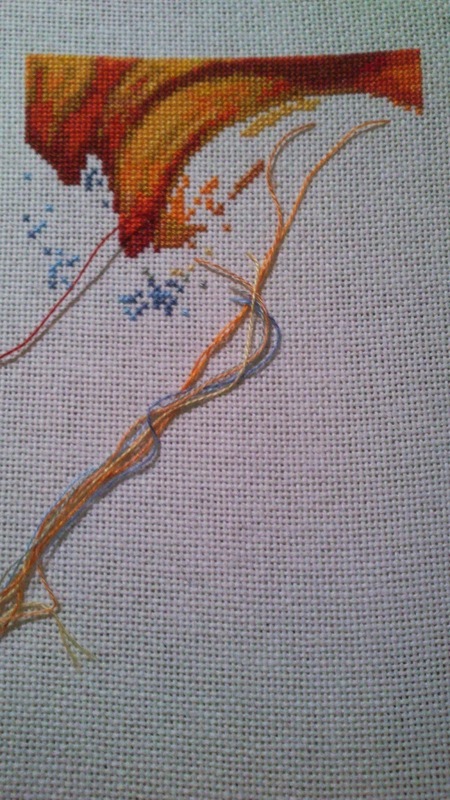 1x1 stitch. Hello, how are you? My name is Arantxa and I love embroidery designs of heaven and earth. 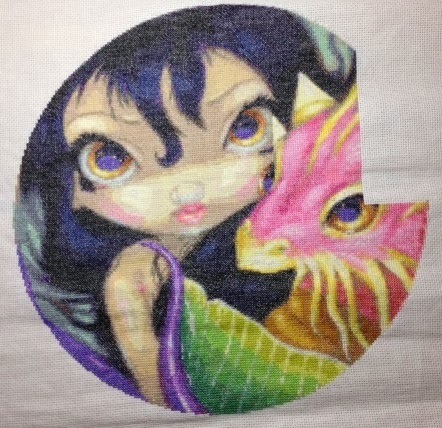 Now I'm embroidering several and today I want to show: QS Mermaid Star Nadia Tate. 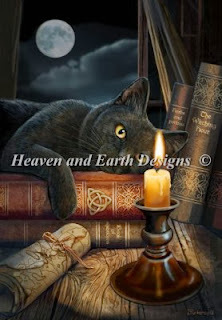 Thank you very much for letting me participate in this blog, I am very excited! QS Cheshire Cat, update. Filled in the grin, and was surprised at how much blue it had in it. Also working down the border, which I hate. Its repetitive. I've recently had a new start and finished the first page on it! It's Mini Halloween by Enamorte. 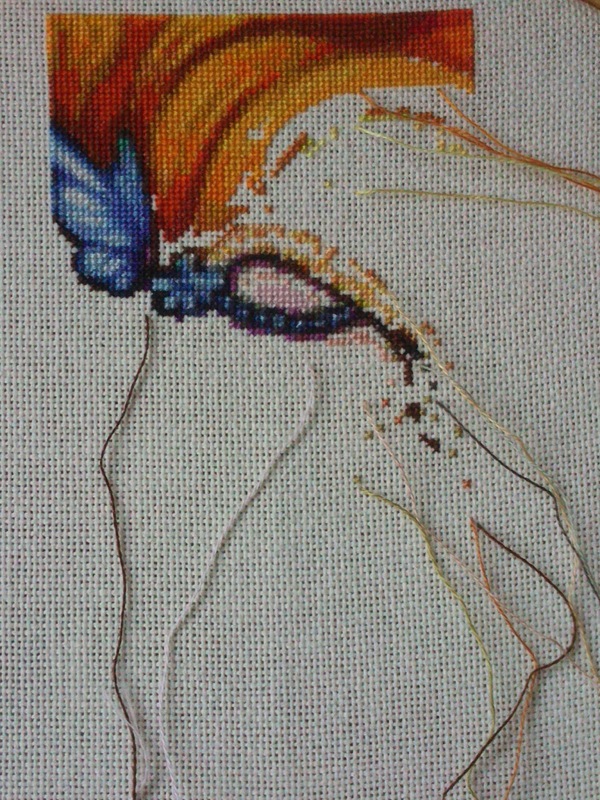 Further WIP photos are available to see on my blog (http://gizzimomosstitchyplace.blogspot.co.uk/).